How do you fight an evil wizard when your only weapon is your smarts? A happy group of forest animals are stopped cold by a wizard's enchanted fog that whispers their greatest fears. The animals think they have to run away but a brave fox gives them a better idea. He shows them how to stand up for themselves and how to handle the problem at its source. The fox and his friends figure out how to handle the bully wizard—and have fun in the process! 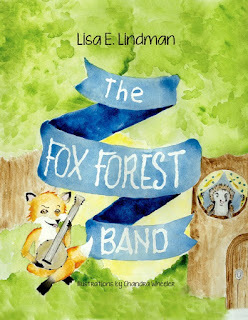 The Fox Forest Band is a lovely picture book for young children. Lovable woodland animals encounter a fog sent by a bullying wizard. They find a way to beat the fog - and the bullying - by working together to form a band. The story is told in rhyme, and it is clever and appealing. It would make a great read aloud for preschool age children. kazoos were made from river reeds. others made guitars, cymbals and lutes." The lovely illustrations by Chandra Wheeler add to the story's appeal. Children will enjoy reading this book again and again! Highly recommended for a home library or preschool classroom. Since she was a child, Lisa E. Lindman has been reading non-stop and writing magical stories. 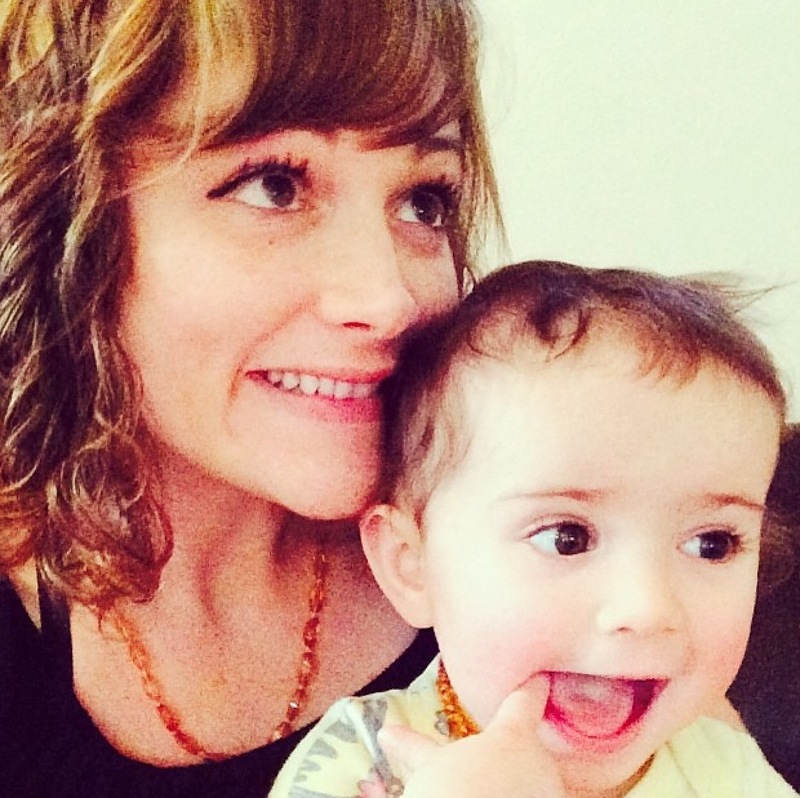 She lives in Portland, Oregon, with her husband, sweet daughter and their French bulldog, Sebastian. She spends her days running a small business, writing, frolicking with her toddler and reading just one more chapter...well, five more chapters. The winner will get a signed hardcover copy of The Fox Forest Band! I love children's books for the illustrations - my granddaughter loves them for the stories! I think this is a book my grandchildren would love to look at and have me read to them. My kids love books and this one looks wonderful! Thanks for the giveaway, Id like to win this for my nephew! My great-niece loves books and I think she would enjoy this. I would like to win this book for my 3 kids. I think they would love this! I would love to win this for my daughter! Thank you for the opportunity. This book would be great for my grandson! Great giveaway for a great book. I'd love to win this to share with the children. This book has gorgeous illustrations! What a precious book. I would love to share it with my grandchildren! Though I no longer have children living at home, and even my grandchildren are grown, or nearly so, I DO have a new great-grandson. He's not yet 11 months old, but he already loves books. And I get to see him often, and get to read to him also. This would be fun to share with him and his mother. This sounds like a lovely picture book for my to share and read with my son who has autism. What a lovely book! I love reading picture books to my little granddaughter. It's one of our favourite things to do together! My nephews would love this book. This sounds like a book our family would enjoy. Oh, so glad to hear about this lovely book! Such beautiful illustrations & sweet story. My family would appreciate this on several levels. My toddler has already obtained a love for books, my husband is an artist & will love the drawings, and it is about a fox which I am slightly obsessed with since my mom's maiden name is Fox. This would be a nice book for my children! This looks great for my daughter and nephew! Thanks so much for the chances to win. My best friend's daughter would love this book. Her second birthday is in October and she's starting to love books! This book is so cute and looks like so much fun to read! I love how bright and colorful the illustrations are. I would really enjoy reading this to my children! This looks like it would be a cute book for my daughter! I'm always looking for new books for her! looks like a great read, and Id love to read it to my kids. This book looks like it would be perfect for my son! Fantastic Prize! I would love to read this lovely book with my grandchildren, thanks! This looks like a great book for my cousin's little girl! I would love to win this beautiful book for my son! This would be a wonderful book for my daughter! Thank you for this! This sounds charming - the kind of book kids want to read over and over again! Would love to read this to my daughter! I would love to get this book for my nephews. We have a red fox that we occasionally see in our back yard. He never bothers anything just runs back to the woods, but it's always fun to see him. Love the fox in this book. I am teaching my kids how to read using sight words and rhyming books like these are helpful. I bet my daughters would really like this book.